Thank you to Lenka Cathersides for the following research. Thank you to the Durrant family for the photographs and letters. Douglas Durrant was born on the 27th January 1895 in Watford, Hertfordshire to game keeper George Durrant and Mary Ann Durrant nee Neal. He was baptised on the 6th October 1895 at St Mary´s in Watford, Hertfordshire. At the time of the 1901 Census, the family lived at 18 Liverpool Road in Watford. Robert Wells was working as a general labourer and Mary Ann was looking after George and Douglas from a previous marriage and Kate Wells born in the present marriage. The family also had a boarder, who was working as brewer´s clerk. Douglas Durrant was admitted into the Watford Beechen Grove Board School on the 14th of April 1902. His parent is stated to be Robert Wells. Douglas was previously attending Holy Trinity school in Islington. At the time of the admission the family lived at 18 Liverpool Road in Watford. 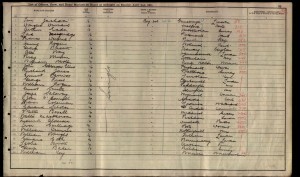 Douglas left the Watford Beechen Grove Board School on the 9th of March 1904 because the family left Watford. 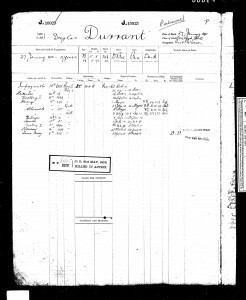 At the time of the 1911 Census, 16 year old Douglas Durrant was a Boy seaman, 2nd Class on the HMS Impregnable in Devonport, he kept this rank from October 1910 to 15th December 1911, he became Boy Seaman 1st Class. Douglas Durrant enlisted into the Royal Navy on the 27 of January 1913 in Portsmouth for a duration of 12 years. His service number was J.10023. Douglas was previously working as an assistant wineman. He was over 5ft tall, had dark brown hair, brown eyes and a dark complexion. He also served on the HMS Hercules, the HMS Victory I and the HMS Revenge. On the 27th of January 1913 (the date of his enlistment) Douglas became an Ordinary Seaman on the HMS Revenge. On the 7th of August 1913 Douglas became an able seaman on the HMS Albemarle. He served on the ship until the 6th of September 1913. Douglas further served on the HMS Halcyon, the HMS Spanker, the HMS Victory I and on the HMS Vernon. 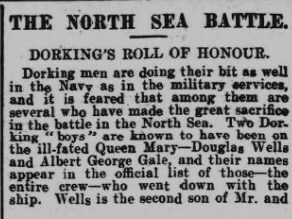 Dorking men are doing their bit as well in the Navy as in the military services, and it is feared that among them are several who have made the great sacrifice in the battle in the North Sea. 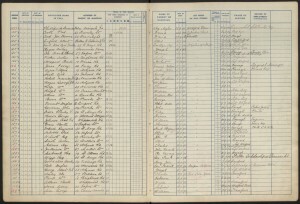 Two Dorking “boys” are known to have been on the ill-fated Queen Mary- Douglas Wells and Albert George Gale, and their names appear in the official list of those – the entire crew – who went down with the ship. Wells is the second son of Mr and Mrs Robert Wells, of Mount Street. Mr Wells is the Urban Council’s road foreman. 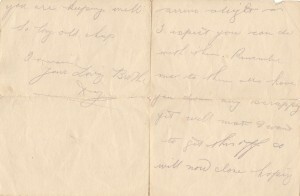 Douglas was 21, and joined the Navy at the age of 16. 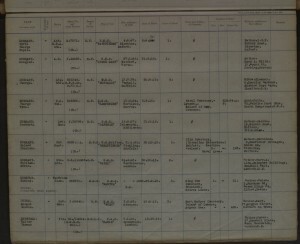 He had fully qualified in torpedo work, and for the first seven months of the war was on H.M.S Spanke. He was subsequently transferred to the Vernon, and then to the Queen Mary. 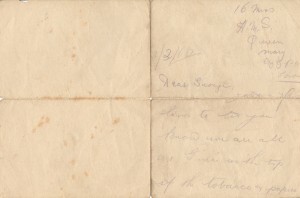 He received his education at the Dorking National School, and only the day before the battle his mother received a nice cheerful letter from him. His brother George is in Mesopotamia. Douglas was transferred to the HMS Queen Mary on the 26th of June 1915, where he served until his death on the 31st of May 1916. 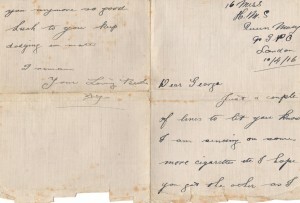 The Durrant family have letters that Douglas wrote to his brother George. Just a few lines to let you know we are all a1. [….] of the tobacco and papers arrive alright and I expect you can do with them. Remember me to them all. Have you done any scrapping yet? Well mate, I want to get this off so will now close hoping you are keeping well. Just a couple of lines to let you know I am sending on some more cigarettes etc. I hope you got the others as I haven’t heard whether you have or not. Glad to see you have got a good billet. What [?] far go on the life alright isn’t it. Remember me to Leo Clear. Is he the only one there with you? 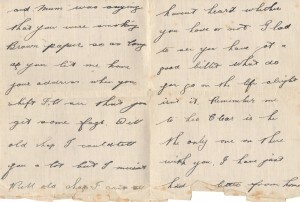 I have just had letters from home and mum was saying that you were smoking Brown papers so as long as you let me have your address when you shift I’ll see that you get some more fags. Well old chap I could tell you a lot but I mustn’t. Well old chap I can’t tell you anymore so good luck to you. Keep dodging them mate. Able seamen Douglas Durrant died on the 31st of May 1916 on the board of the ill fated HMS Queen Mary during the Battle of Jutland. At the time of his death his mother Mary Ann Wells lived at 13 Mount Street in Dorking. Douglas Durrant is commemorated on the Portsmouth Naval Memorial on panel 12. He was 21 years old. Douglas´ mother Mary Ann Neal was born about 1874 in Leavesden, Hertfordshire to labourer and farmer´s foreman Richard Neal and Emma Neal. Mary Ann was baptised on the 14th of June 1874 in Leavesden. 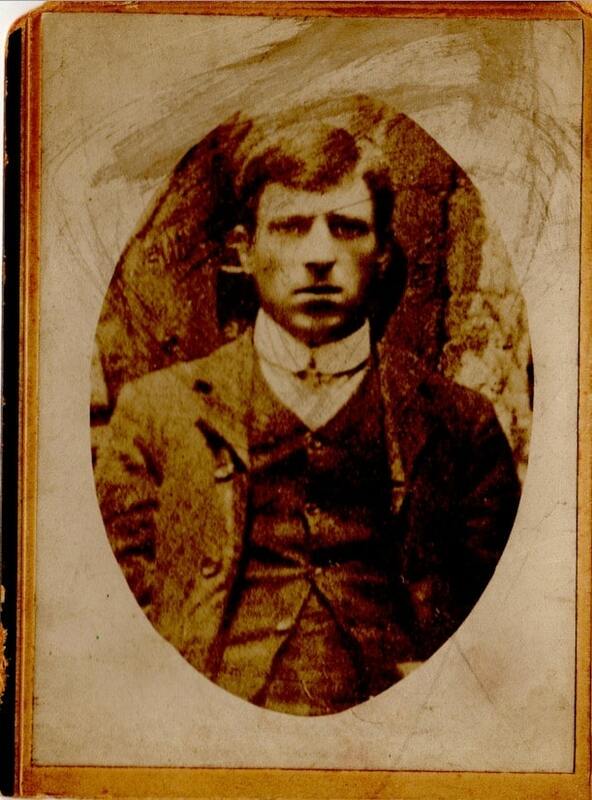 Douglas´ father George Durrant was born about 1873 to publican Henry Durrant. They married on the 10th of January 1893 in Cowley, Hillingdon, Middlesex. At the time of the marriage the couple lived in Cowley. Douglas had one blood sibling and three known half siblings. George Henry Durrant was born in the 3rd quarter of 1893 in Eastcote, Middlesex and he was baptised on the 20th of August 1893 at St Andrew´s in Watford, Hertfordshire. 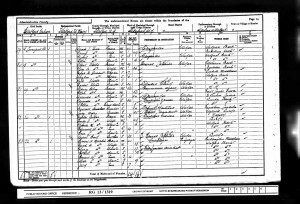 Kate Wells was born about 1900 in Watford Hertfordshire, Robert William Wells was born about 1903 in Watford Hertfordshire and Ernest Edward Wells was born about 1906 in Dorking Surrey. In the 2nd quarter of 1897 Mary Ann Durrant remarried labourer and road foreman Robert Wells at St Albans in Hertfordshire. Robert Wells was born about 1872 in Redbourn, Hertfordshire. At the time of the 1911 Census, the family lived at 22 Meadowbrook Road in Dorking, Surrey. 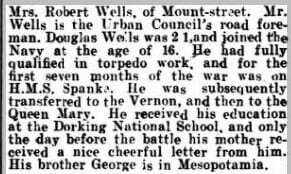 Robert Wells was working as a road foreman for the Urban District Council and his stepson George was a clerk carriage builder. The rest of the children Kate, Robert and Ernest were at school. The household had five rooms. 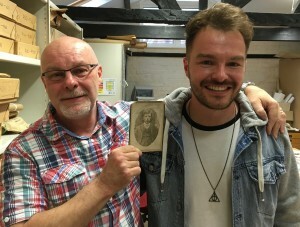 Douglas’ Great Nephew John Durrant and Douglas’ Great Great Nephew came to Dorking Museum with photographs and letters from Douglas to his brother George Durrant. We are very grateful to them.